OMG... je vais finir par être vraiment obligée de les faire ces IA... Il me manque toujours le casque. * Mien of Leadership: Fixed a bug that caused this abilitty to reduce the absorb effects generated by effects from the Cleric's items. These items should now have full effect for Justicars. * Life Insurance: Fixed an issue that was causing the duration of the defer death portion to have a different timer than the absorb portion. * Crustacean Invasion: Can be completed once more. * Jump pads leaving the platform are disabled during the Vladmal Prime fight. * Sludge of the Soulstream: No longer has an absurdly high amount of hit points. * ZE: The Ravenous Devourer: Ojingeodon’s required health to switch to the final phase of the zone event has been changed to 90% health, up from 75% health. * The Spout: Water in this scene will no longer pull the camera underwater. * Quest: Emancipation through Decimation: Has been re-enabled, and works much better now. * Corrected some missing grave yard NPCs when exiting instances by opting to respawn. * Quest: In Death We Part: Has been removed. * The achievements points for this Chronicle have returned. * Adjusted balance for the Zilas fight by reducing health for Zilas, Escaped Imps and Escaped Magus. * Vladmal Prime has decided to stop being stingy with trinkets and will now drop them when he’s killed. * Fixed a bug where Ravaged Souls on Sicaron was doing significantly less damage than intended. * The Beastmaster purge now triggers Ravaged Souls. * The Strands of Draum and Strands of Arak are now player crafted, and the cost to craft them has been adjusted to the correct values. Look for the Apothecary and Dream Weaver recipes on the Rift store and from Bob in Choreburg. * The Strands of Draum and Strands of Arak have been changed from Bind on Pickup to Bind to Account. * Players are no longer be able to get on the rocks and shoot into their opponent’s base. - Les Brins de Draum et D'Arak sont maintenant fabricable par l'apothicaire et le tisseur des rêves et lié au compte. * Runes can no longer be applied to wardrobe items. - Note: Currently, a bug is causing this to be applied to equipped weapons as well. A simple workaround is to unequip the weapon, apply the rune, and then reequip it. This bug will be fixed in an upcoming hotfix. * Veras, the Dream Auteur, has finished his performance art masterpiece "Identical Dye Colors with Different Names" (RGB Numerical Dye on Fabric). The exhibit will now be moved out of the player's wardrobe system and given a permanent display in the Zeuxis District Museum of Accidents Masquerading as Art. In other words, we have fixed the Dark Pink Dye to no longer match Dark Orange Dye. If you are already using the Dark Pink Dye, you will need to re-apply it for the new color to display. * The Nightmare Tide Weekly and Daily questgivers for Conquest, PVP, Instant Adventure, Zone Events, Raid Rifts, and Chronicles can now be found in Aurentine Palace in Tempest Bay as well as their original locations in Flargle Plaza. * Boss immunity to crowd control type effects for Grugonim is now more robust. * Reset the leaderboards for Tyrant’s Forge to remove bad data from the top spot for Drekanoth of Fate. * Reset the leaderboards for Tyrant’s Forge to remove bad data from the top spot for PUMPKIN. * The cost to craft the Strands of Draum and the Strands of Arak have been adjusted to their correct values. * The healing-increasing effect of the 4-piece bonus on the Protector's Crystal synergy crystal has been temporarily disabled in Warfronts and Conquest. - Les runes ne s'appliquent plus par erreur sur les objets "tenues"
- La teinture "rose foncé" n'apparait plus "orange foncée"
- Les Quetes hebdomadaires niveau 65 (Conquéte, PVP, IA, Evenements de zone, Failes de raid, Chroniques) sont maintenant disponibles aussi à la Baie de la tempête. * The festivities begin at 3:30 PM server time on Thursday, June 11th! * To start your summer adventure, head to each of the capital cities! * Get dressed for the weather—New Summerfest wardrobe options are now in the RIFT Store! - For a limited time, Swimsuit bundles can be purchased for Summerfest currency. This method is only available in the World Event category of the RIFT Store. * With Summerfest comes new minions and new minion adventures! - Muirden is available from the Rift Store and unlocks a series of minion adventures that lead to 5 more new minions! - Six new 10 hour adventures are available throughout Summerfest and reward Summerfest currency, dimension items, costumes, and cosmetic pets. * The Dimensions -> World Event category has been removed. All items that were previously in it have been moved to the top level World Event category in the Store. * Find new Scavenger Hunts in Goboro Reef, Draumheim, and Tarken Glacier! * Previous Scavenger Hunt quests return to every zone of Mathosia, Brevane, and Dusken. * The Summerfest Beach Party Kit has been updated to include a new picnic basket, tropical drinks and umbrellas! * Tons of pets are available from the Summerfest Party Basket! * RIFT has been updated to support Build 10074 of the Windows 10 Technical Preview. Please report any issues! * Fixed a bug that could disrupt Instant Adventure when the raid leader went offline. * Fixed a bug that caused Rogues to roll an extra time for mounts from Bolt Supply Crates, thus allowing them an additional roll for a Levitate Mount. Sorry Rogues! * Quest completers for the Onslaught daily and weekly quests are now also located in Tempest Bay, as well as for the weekly crafting quests. - Toutes les quetes de chasse au trésor sont accessible au niveau 10 et rapportent moins d'XP au personnage de niveau supérieur a 50. - Tout les PNJ à Marge Palace ont été transformés en mouton afin de pouvoir tester les problèmes de performance!!! * You can now once more apply runes to equipped items that lack a corresponding wardrobe slot (belts, rings, etc). * Players can now use a portal at the entrance to go directly to the Yrlwalach boss. * Players will no longer be able to use pets while fighting the Drekanoth of Fate in this instance. * Fixed an issue where Hammerknell Instant Adventure loot could drop in the open world. Margle Palace Performance Improvements. Hotfix added potential performance improvements to Margle Palace. * Bank vault names now persist through logout. * Fixed a bug that could cause some enemies to vanish too abruptly. * Target dummies and other benign NPCs will no longer cancel duels when aggroed. * Implemented potential performance improvements when teleporting into Margle Palace. Please let us know if this helps! * Les noms donnés aux coffres de banque persistent maintenant après la déconnexion. * Certains ennemis disparaissaient de façon trop soudaine. Ce bug a été corrigé. * Les mannequins d'entraînement et autres PNJ inoffensifs n'annulent plus les duels lorsqu'ils sont pris pour cible. * Nous avons apporté un gain de performances potentiel concernant la téléportation vers le Palais Margle. *Nous testons les restrictions des pré-made en conquête. Ce n'est pas mentionné dans la patch note, mais ça devrait être mis en place prochainement dans une autre mise à jour. Le nombre de joueurs maximum pour rejoindre une conquête sera limité à 5. Planned Shard (Extended) Downtime. 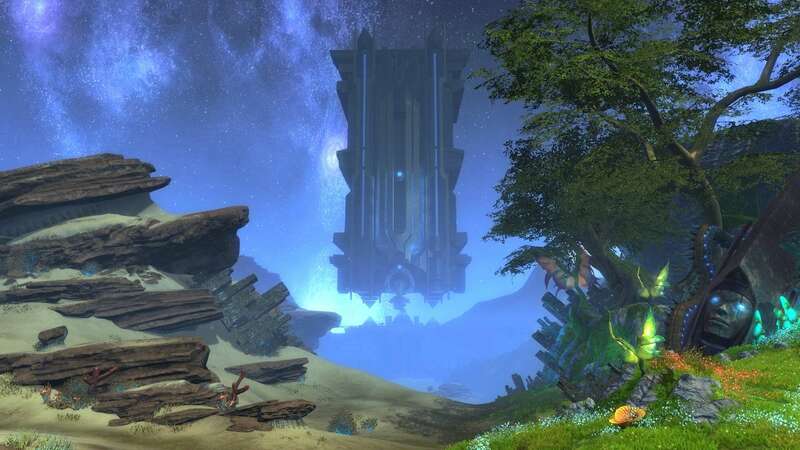 Trion will be taking RIFT down for RIFT 3.2 Hotfix #16 as well as some extended server maintenance. Shards are estimated to be down for 6 hours. Please plan ahead! America: 7/8/15, at 6:00 AM PDT. Europe: 7/9/15 at 1:00 AM GMT. Planar Crafting: Dreamweaver Test Box. The Dream Weaver test box is now available in Master Mode Dummy Foundry on the PTS. It contains all the Planar Crafted dimension recipes. Planetouched Wilds Portal Open. If you have been doing the PTW intro quests in Droughtlands, the portal just before the PTW entrance is now open. Note: Still can’t enter PTW. Nightmare Saga Continues. If you were stuck on the Manifest Guilt, it should now spawn when you stand right on top of the marker. *La mise à jour des serveurs sera probablement plus longue, estimée à environ 6 heures. *Réparation de bugs en combat : Vladd a découvert ''des problèmes affectants les combats et le temps de quitter les combats'' et il travaille afin de les fixer. Deux majs pour le prix d'une pour les serveur EU! * Artificer crafted companion pets no longer stack. * Fixed an issue with the animation when using the Levitate mount. * Fixed an issue causing minion mission complete star animations and minion leveled up UI messages to not show up. * Fixed a crash related to some sky geometry not loading. * Fixed a crash that could occur when queueing for a Random Chronicle. * Empyrean Ascension: Fixed a bug causing this ability to not to grant the Charge its tooltip claimed it would grant. *Life Insurance: Now respects line of sight. * Dichotomy of Pain: Now respects line of sight. * Nightmare Saga: Fixed a bug which prevented players from entering the quest instance by causing them to crash repeatedly. * Fixed an issue preventing the random queue River of Souls chronicle from providing the correct rewards. * Quest: Give Me A Break: Fixed an issue with Indigestus’ respawn area not matching the size of the quest objective locator. * Instant Adventure: Many objectives have been tuned up or down as needed for more appropriate difficulty. * Quest: March of the Guffins: Fixed an issue causing the Guffin Overlord to spawn early. * Quest: March of the Guffins: Moved a rift that could spawn in the final objective area. * The Drekanoth of Fate will no longer using Scorching Light above 20% health unless set to Hard difficulty. * Ungolok: Fixed a bug where Pressure Burst was hitting harder than intended when the mechanic was executed properly. Thanks for the report Lynspottery! * The epic mage staff Scepter of Reason now correctly upgrades into both the relic staff Zorrin, the World Breaker and Zorrin, the World Mender. * The upgrade cost for the Staff of Broken Reason to upgrade into Haldon, Reason’s Prison has been corrected. Cost now 7 Abyssal Crusader’s Marks, up from 4. * Added an alert when a product isn't available for purchase via the Steam Wallet. * Fixed a problem where the Intrepid Gilded Prophecy did not retain the Introduction difficulty setting for Guurloth. * Fixed an issue where the second boss did not correctly retain the Introduction difficulty setting. * Le drekanoth n'utilisera ses compétence de mode difficile qu'en mode difficile! The Nightmare Saga: Act II is now live! Players who have completed Act 1 can return to the Throne Room in Tempest Bay to continue the story. * Fixed some visual artifacts caused by models loading. * The number of appearances required to complete the top Cape and Chest wardrobe achievements have been lowered. * Level 65 equipment dropped from Supply Crates and Troves now have a new upgrade tier. * All service items that drop from Supply Crates or Troves after today's hotfix can no longer be traded. Any existing service items that have already been obtained will remain tradeable, and there are no plans to force them to be bound. * The Water Saga quests Atonement and The Solace Cabal should function much more reliably now. * IA: Clearing the Forest: Fixed an issue that could block larger adventure groups from progressing on this quest. * Fixed a rare mob issue where Drone Bennkaa would spawn instead of Overseer Primarch. * Known Issue: Chloromancers with Savant's Crystals who re-apply Synthesis to a target they already have Synthesis active on will lose the benefit of their 2 and 4 piece bonus. - This can be worked around by casting Synthesis on a second target, or by having the initial target cancel their buff before you re-cast it. - This will be fixed in an upcoming hotfix. * Smooth Guffin Pebble: This item can now only be used in the open world. * Minions: Fixed a bug that would cause the daily refresh to happen after a player was logged in. * Fixed an issue that would prevent a player from accessing their wardrobe. * Implemented stability improvements in the cloth system. * Steam users can now purchase the Power Pack properly. * Fixed a bug with Blue Intricate, Green Gem, and Golden Flower portrait frames. * Nightmare Saga: Fixed a respawn issue with guffins at the final research site in the quest “March of the Guffins”. Also moved a few Glacial Hunters away from the third research site to minimize quest interference. * Fixed a bug that was preventing players from joining an instance. Fixed an edge case where sometimes the Memory Crystal to skip the intro vignette would not despawn correctly. * Crafting can now consume items from the Shard Vault! * Sbires: Résolution d'un bug qui faisait que le rafraîchissement journalier se faisait après la connexion d'un joueur. * Saga du cauchemars, correction du problème de repop des Gastons et nettoyage de la zone de quelques chercheurs pour éviter les interférence avec la saga. * L'artisanat consume maintenant des matériaux depuis le coffre de Serveur. * We have updated RIFT’s desktop icon, the Trion Worlds logo, and the intro loading screen. * Fixed a performance issue in crafting windows. * The Nightmare Saga: Act III is now live! * Nightmare Saga: The Ghar Badge of Honor is now bound to account. * Nightmare Saga: Related artifacts sold on the Auction House will now appear under Normal Artifacts instead of Collectibles. * Fixed incorrect collision in the path between Pelladane and Seratos in Dusken Spires. * The Crafting Rift drop rate for the Imperishable Motes have been greatly increased! * Unicornalia now displays 8/13/15 as the end time in the world event UI. * Increased the experience reward for killing NPCs in dungeons and completing dungeon content. * Fixed an issue with the first Memory Crystal spawning incorrectly on a soft reset of the instance. * Removed some extra cliff asset leftover in Vengeful Sky Dimension that’s blocking players creations. * Fixed an issue of mismatching collision in the Vengeful Sky Dimension’s water. * Shadow Assassin Gear set no longer incorrectly includes Shadow Assassin’s Hood. * Removed several unattainable wardrobe appearances. * Magician’s Crown is now correctly included as part of the Magician’s Bundle costume set. * The unattainable Darkmetal Sabatons plate foot appearance no longer incorrectly appears on the wardrobe screen. * The Intrepid Gilded Prophecies Hardmode drop, Sigil of Striking, now correctly has Attack Power not Spell Power. * Le Badge d'Honneur Ghar est maintenant lié au compte. * Les artefacts trouvés à Port Scion apparaitrons dans la catégorie Artefacts:Normaux à l'HV. * L'event des licornes est actif jusqu'a demain. * L'experience attribué en tuant les mobs de donjon à été augmentée. * Fixed an issue with the quest In Fellowship that could incorrectly give credit for completing dungeons. * Emblem of Alacrity: Channeled spells no longer consume Emblem of Alacrity’s buff. * Fixed an issue with the cast direction of Tidal Waves on the Akylios platform. * The health pool and damage dealt by Zilas has been reduced by 10%. * Inquisitor Garau should no longer be able to damage pets with Disintegrating Bolts. * Fixed an issue where the AoE Healing Proc on Tier 2 Relic Offhands and 2-handed weapons was reporting its name as “Snow Fall”. It now correct reports its name as “Dancing in Dreams”. * Existing Sigil of Striking items once again have Spell Power as one of their stats. That item no longer drops from Intrepid Guild of Prophecy hard mode chests. A new item, Sigil of Vicious Striking now drops and has Attack Power. * The Avatar of Extinction will no longer target pets with his damage over time abilities. * The one-handed tanking weapon from the Nightmare Saga quest line, the Cleaver of Subjugation and its upgrade the Nightmarish Cleaver of Subjugation, can now also be equipped in the off hand. * The Plantetouched Wilds introductory quests are now active! * Players who have already completed this quest may resume the quest-line by accepting “In Memorion” atop Lantern Hook in the Droughtlands. * Due to a bug with the model preview for the Limited Edition: Crystalline Lifter Trove we’ve extended sales through 9/29! * Scout Captain Feldain is no longer A.W.O.L. * Auction House: A new top level category has been added for REX. Any new auctions placed will be viewable in this new section, while older auctions that have not yet completed can still be viewed in Misc->Other. * A cause d'un bug sur la prévisualisation du Lumiarc "cristallin" l'offre continue jusqu'au 29/9. Au passage avez vous testé le /mountdance sur les glisseurs ... Et d'autres..
* When a player dies in a dungeon or chronicle, they will be respawned at the beginning of the instance. * Greathound and Primal Warbeast mounts are now flagged Amphibious. * Fixed a bug which caused DoT effects from Nightmare Tide trinkets to replace other players’ DoT effects from the same trinkets. * Résolution d'un bug qui faisait que les DoT posées par certains trinkets remplaçaient les Dots posés par les joueurs ayant le même trinket. - Le changement sur la réapparition en donjon à eu comme impacte que la marche des âmes vous fait immédiatement réapparaître là ou vous êtes. * Fixed the Guild Log to correctly display achievements and completed quests prior to 3.4. * Fixed an issue with suggested prices on the Auction House. * Changing shards will no longer remove and not re-apply the scene based abilities you are granted in Plane Touched Wilds. * An additional login bonus has been scheduled for Friday, October 16th to make up for the incorrect loot in the Pinatas available on Tuesday. A Primal Celebration Gift – Redux will be available to claim in the RIFT Store, once per account. - If you accidentally claim it on the wrong character: don't panic! The pack itself is BoA as long as you don't open it. * The Rift Store now includes level 10-50 pvp weapons for Primalists. * Updated the tooltip for the Red Crabnarok. It now correctly states that it’s a 155% speed mount. * Fixed bad previews for Pet Skin: Shalistiri Spirit and Pet Skin: Skyhunter. * Fixed nameplate UI settings not persisting. * Fixed player colors in the Warfront scoreboard to display red and blue for the correct sides. * Fixed an bug with the Store resetting the filters and scrollbar. * Fixed an issue with the Store reopening after closing. * The UI Layout system has been overhauled to fix various HUD elements from gradually creeping across the screen, and improved placement through window resizing and resolution changes. - Note: If player has Global UI scale enabled and resizes the window, UI elements jump to unexpected positions. This is a bug and will be fixed in a future hotfix. * Fixed a bug that could cause /reloadui to clear all your bag positions. * Nightmare Saga: Nightmare Scenario is now listed as a group quest. * Some older zone events have had their Void Stone payouts normalized. * It seems that the upheavals caused by the return of Planetouched Wilds were not confined to Mathosia. Over in Brevane, the boundaries of Arakhosian Hinterlands have shifted, and now include a small area that used to be in the Biofoundary. * Quest: Usuk Hel: Players will no longer have their pets parrot Tam’s lines. Thanks to Darosarabean for bringing it to our attention. * Ancestor Spirits have been spotted roaming the ruins in Cosmic Steppes. * Quest: The King and You: Queen Bloodhorn is no longer masquerading as a rhino. * Quest: Primal Meditations: The crystals will now properly sparkle when on the quest. Players will now earn rested XP in Shal Korva. * Finding the Finder: Researcher Jessa is now a little easier. * Fixed a bug where a Primalist at level 50 could put too many points in a talent tree. * Pass Fixed a bug causing Ancestral Force to be capable of critically healing. * Fixed an issue causing Conservation to calculate as a spell instead of a melee attack. * Fixed a bug where Nature's Blessing (lvl 65 Mastery) stacked with Divine Favor (lvl 65 Cleric Mastery). * Fixed a bug causing Invigorate's healing to only work on the casting Preserver, not work if cast on an ally. * Fixed a bug which caused Overgrowth not to function. * Titanic Spirit: Increased threat modifier from 200% to 300%. * Increased threat of Essence Strike, Crystalline Lance, and Earthquake. * Primal Avatar - Ram: Fixed an issue preventing this from increasing the caster’s maximum Absorb. * Fixed a bug where Earthquake dealt Death damage instead of Earth damage. * Increased Earthquake's damage multiplier by 50%. * Fixed an issue causing Divergence and Wind Shear to be counted as Instant abilities instead of Cast Time abilities. * Updated tagging on Typhoon abilities to respect line of sight. * Precise Aim: Increased buff duration to 15 seconds, up from 10 seconds. * Beacon of the Drake: Fixed an issue preventing this from scaling properly with attack power, weapon damage, or physical critical hit chance. * Lava Lance: Now works correctly. * Primal Warp: Now works correctly. * Stroke of Brilliance: Fixed an issue where this was doing too much damage while not at true harmony. * Increased the damage of the initial tick of Soul Sickness, Necrotic Wounds, and Flesh Rot. Shadow Warp will now drop flags when used in Warfronts. * Stonespear is now properly tagged as a damage ability. * Fixed the description text on Contra Tempo to display the correct amount it increases per talent level. * Removed the debilitate text from Weapon Barrage. * Voidstone costs for many Storm Legion essences have been drastically reduced. * Ghar Badge of Honor now appears on Ghar notoriety vendors when only the Primalist calling is selected. * Epic upgrades on ranged weapons that drop from the Rhazade Canyon boss now have ability procs. * Nomi found a new supplier for Rainbow Glue and will be selling it for a much reduced price from now on, although it’s still not cheap. It is Rainbow Glue after all. * Calzrix, the Primal Edge, the upgraded Primalist tanking axe from the Intrepid Guild of Prophecy raid is now correctly set to Relic rarity. * Fixed an exploit which allowed companion pets to be targeted by Earthen Punishment. - Note: Some windows may return to their last location when transitioning maps. A Save Layout, or Window Resize, will store the new position. This will be resolved in a future hotfix. - Fixed an issue where the ability reduced the damage and healing of Masteries. - Lowered damage reduction for non-Titan abilities from 50% down to 30%. - Now on the global cooldown. - Fixed a bug in the tooltip causing it to state outgoing healing is reduced by 50%. It now correctly reads 80%. This is a tooltip change only. * Changed Invigorate's healing to count towards the Caster’s healing rather than towards the Target’s healing. L'event de l'automne avec tout ce qu'il a apporté. Acte 2 de la nouvelle zone. Correction de bug, Ajustement sur le primaliste, Modification sur l'Arbitre (Mage). * The Realm of the Autumn Harvest should be accessible once more! * Stats on the new Autumn Harvest minions have been updated to have the correct stats. * Quest: Autumncap Haul: Autumncap Fungus spawns in the following zones have been adjusted to no longer be out of reach – Silverwood, Freemarch, Gloamwood, Stonefield, and Droughtlands. * Autumn Eyes potions should be working once again. * Added Autumn Sap rewards to zone events. * Added Autumn Sap rewards to Autumn Harvest Instant Adventure bosses. * Added additional seasonal Instant Adventures to Gloamwood. * Fixed a possible client crash when purchasing items off a wish list. * Fixed issue with the sound and frequency of Baac skin for Necromancer’s Shadow Revenant pet, so it is not too noisy and annoying. * Fix a bug causing ground clutter to flash on some systems. * Transmogrify: No longer affected by Durable Control. * Transmogrify is no longer broken by AoE damage. - Now reflects 10% of single-target ability damage dealt to the Dominator back to the attacker. - No longer drains the resource of attacking foes. *Fix previewing combat pet skins not animating. - Note: Cleric Fairy pets do not animate until a skin is selected. This will be fixed in a future hotfix. * Fixed a bug that would prevent Skill Shot, Cyclicism and a few other abilities from proc’ing when at full fury. * Planar Spout: Fixed an issue where Planar Spout was doing more damage than intended. * Spirit’s Wrath: Now deals 50% less damage in PVP. * Fixed an issue causing Inundate’s Absorb functionality to work irregularly. - Now moves your focus by 100 towards Cunning. Up from 80. - The additional damage debuff duration has been reduced from 3s to 1.5s. * Skill Shot: Now deals 50% less damage in PVP. * Beacon of the Drake: Fixed an issue that was causing Beacon of the Drake to despawn when another one was cast nearby. * Buffs from Crystalline Lance, Essence Strike, and Earthquake now last 20 seconds, up from 16s. * Unyielding - talent: Lowered from 3% damage reduction per point down to 2% per point. * Essence Strike: No longer gives Dodge when used, and instead gives a 3% reduction to damage taken. * Crystalline Lance: Range increased from 20m up to 30m. * Earthquake: Lowered cooldown from 15 seconds down to 10 seconds. * Primalist Mastery Indomitable Indomitable (level 61) now also allows Crystalline Smash to be used on targets up to 20m away. * Removed the smiling wall. * The VFX illuminating the hands around Hydal Ithral has returned. * The main map can no longer be shrunk down to a size that prevents it from displaying correctly. * Fixed an issue that prevented the map from being made larger after a window resize. * Water Twisted Moths should spawn with the same regularity or the other Twisted NPCs from Corpse Maggots in Planetouched Wilds now. * DPS upgrades for Primalist 2H raid weapon drops now have the correct item procs. * Fixed sound for some healing trinkets that could get stuck looping under certain circumstances. Corrections diverses sur l'event de l'automne. Corrections de bug, Ajustements sur le Primaliste, Modification du Dominateur (Mage). The epic conclusion of the Planetouched Wilds story arrives. Learn the disturbing secret of the Wilds and how the bahmi of Shal Korva have saved their karma from the Tenebrean Teth and face down this cosmic demon in an attempt to break the Great Wheel. Today, the all-new 20 man raid Mind of Madness has been added, the third tier of raiding in Nightmare Tide! This massive raid contains a total of 9 unique bosses in a struggle against the pantheon of another cosmos and the culmination of Lord Arak’s wicked machinations. Explore the broken worlds forged by the dreams of these alien deities as you face challenges unlike any ever before. This massive trial of ordeals will be released over the coming months. Your first trial is to conquer Pagura, Lord Arak, The Pillars of Justice, Fauxmire, and Lady Envy. Are you ready? * Autumn Harvest: Added new one-time quest “Fright Night” to Rollo in the Realm of the AUtumn Harvest that rewards 7 Signets. * Fixed a VFX display problem that caused particle effects to appear near the player’s head while mounted. * The welcome window will now only display once every 20 hours per account. This time, for really real. * You can no longer duel inside of a raid instance. * Tier 2 gear is now available for purchase on the Store! Armor and weapons can be purchased individually, or as part of bundles. * Fixed an issue with the UI Layout that caused items docked to the chat window to move after changing maps. * Fixed some issues with the maps rendering if the map was open when resizing the game. * Added the roll option windows to the UI layout. * Fixed minion stamina sometimes displaying incorrectly. * Fixed a bug which caused Just Defense not to be considered an Absorb effect for the purpose of Buffs and Debuffs. * Ursine Tenacity now causes Nurture and Naturalize to slow the caster by 50% while channeling them. * Fixed an issue where using Rockslide in PvP improperly reported its name as “Clear the Breach” in combat log text. * Rockslide no longer moves Focus 10 points. * Fixed a bug where Shearing Winds was dealing Ethereal damage instead of Air damage. * Increased duration of Primal Avatar: Wind Serpent from 10s up to 15s. * Fixed a bug where Scirocco and Lava Lance didn't share a cooldown. * Decreased the cooldown of Lava Lance from 10s down to 8s. * Conservation’s effectiveness has been reduced from 10% per point down to 7.5% per point. * Fixed a bug causing scaling calculations for absorbs provided by Crystalline Smash and Lifewarding beacon to work incorrectly. * Precise Aim: Now only affects Earth and Fire damage. * When a group finishes an instant adventure quest in a zone that has an active zone event, they will be sent to the same zone on another shard that has no zone events active. - If that is not possible, the instant adventure system will send the group to a new instant adventure. * Uureg can be a bit of a tool, but he’s a far better administrator than Khar. * Rhen of Fate, Tyrant’s Forge, and Mount Shatrax raid bosses will no longer drop Fragments of Horror. They now drop Abyssal Crusader Marks instead. * Killing Murdantix will now grant access to the upper floors. * Consumables that grant bonus currency gains can now grant bonus Fragments of Madness. * All Fragments of Horror will turn into Abyssal Crusader’s Marks at a 2 to 1 rate. * The Keen Titanium Glaive now requires a minimum level of 46 to equip. * Fixed several issues which could prevent Greater Essence effects from triggering for Primalist characters. Acte 3 de la nouvelle zone. Derniers ajustements de l'event de l'automne. Ajout des armes T2 en boutique. Corrections de bug, Ajustements sur le Primaliste, Correction d'un bug du Justicier (Clerc). * Fixed a bug causing 7 Random Chronicle Rewards to be granted per day, instead of 1 per day. * Guild members who are not in-game but are connected via the mobile app will appear as offline in the Roster tab. * Fixed a bug that would prevent Primalists from undoing points spend in talent trees. * Ursine Tenacity’s movespeed reduction while channeling Nurture or Naturalize has been reduced from 50% down to 25%. * Fixed a bug causing Seismic Smash and Lashing Wind not to trigger several items’ triggered abilities. * Invigorate now requires the target be a member of your Party or Raid. * Removed a redundant “How to Play” section from the Talent Preset overview for Titan. - When a group finishes an instant adventure quest in a zone that has an active zone event, they will be sent to the same zone on another shard that has no zone events active. - Fixed an issue where certain voice over audio and text would play twice. - Fixed an issue where players could skip certain quest objectives. - Decreased the damage of Teth Torok and slightly increased the damage mitigation of Sun’s Gift. Thank you to Mashata for the report! * Quest: A Tempting Offer: The step "Kill the Secret Wish" now has the correct map indicator. Additionally, the Secret Wish can be re-summoned at that location using the Contemplation Stone. * Quest: Woe is Me: Teth Varadeshi no longer grants experience when killed. * Quest: Reluctant Rescuee: Uureg will now correctly speak players when they come to plead for his help. * Quest: The Goddess: Players who abandon this quest part way through and then return to Cyberneticist Frekker to begin it again will now be able to experience Aia taunting them a second time. * Killing Murdantix will now allow access to Garau and Darktide even if the instance is soft reset. * Fixed a bug where an invisible Misericordia was showing up between the Pillars of Justice. * Hand of Judgment no longer persists after Vis and Misericordia have been killed. * Fixed a fallen shadow location. * Lady Envy: Fixed an issue where “Singularity” would trigger the raid wipe mechanic a little too early. * Lady Envy: Fixed an issue where “Bullet Hell” would sometimes not trigger in Phase 3. * Pagura and Lord Arak now respawn a few seconds later after a reset, lessening the chance they’ll reaggro on players. * The Dimension item loot table associated with Stan’s Lure and the dimension related grab bags have been doubled in size with twice the items. * All Tier 2 store weapons now have the correct hit values. * Updated the Fragment of Darkness cost on Tier 3 raid items. * The Enslaved God's Breastplate should now upgrade correctly. * Shal Korva heirloom rings are now bind to account. Shal Korva notoriety runes are now bind on pickup. * The incorrect naming on the Magnificent Twin-rune of Dexterity has been fixed. * The “Explosive Intent” ability on Enigma Seal trinkets has been improved. - All damage dealt by this trinket is now guaranteed to critically hit. - The maximum number of targets struck by the explosion at the end of the ability has been reduced from 10 to 5. * Fixed a bug causing several items from the Mind of Madness to display redundant “Use:” information in their tooltips. * Fixed a bug giving upgraded PVP shields large amounts of extra block. * Nightmare Edge of Reason now grants the correct appearance unlock. Corrections de bug, Ajustements sur le Primaliste. * Fixed a bug where capes would constantly fly upward. - Note: This hilarious cape-to-face still happens when riding Arachne, and will be fixed in a future hotfix. Thanks for your patience! * Fixed a bug that could cause the minion reset time to wander off in a confused fashion. Upon logging in after the patch all players will experience a mission reset. * The Wilds Pack is available again in the services category! * Increased Subduction damage by 11%. *Fixed an issue causing Fauxmire’s Night phase to prevent Invigorate from working. * Fixed an issue which could cause some powerful NPCs to be immune to Lava Lance’s interrupt. Quest: Where There’s A Wisp, There’s A Way: Should work correctly once again. * Quest: Khadluu Ukher: The intro vignette will no longer play on a fight reset against Teth and the Khadluu Ukher. * Fixed the placement of some artifacts stuck in terrain. * Quest: A Tempting Offer: Fixed an issue that sometimes prevented the Greatest Fears from spawning more than once. * Quests: Scientific Consensus and Reactive Results: Fixed an issue with these two quests that would prevent them from being completable if done after participating in the Ghar Station Tau quest instance. * A player’s random chronicle charge pool, if depleted, is replenished at a rate of 1 charge per day. * Lady Envy: Fixed a case where sometimes players did not become immune to “Singularity” when they should have become immune. * Lady Envy: Fixed an edge case with the fight resetting pre-maturely. * Fixed an issue in which killing the Sentinel of Reason in The Nexus might not open the portal to An End to Reason. * Triggering Orphiel’s vignette after killing Lord Arak will now only teleport players on the glacier to the Nexus. * Increased the duration of Lord Arak’s Negate buffs. * The Dimension item loot table associated with Stan’s Lure and the dimension related grab bags has been changed to no longer give out common items. * The issue with the Magnificent runes not applying to lockbox equipment has been fixed. * The Enigma Seal trinket’s explosion after all stacks are consumed now originates from your ability target, rather than from the user of the trinket. * The Enigma Seal trinket has had its cooldown reduced from 90 seconds down to 60 seconds. Shal Korva notoriety runes are once again set to bind to account. Le pack sauvage est maintenant disponible en boutique dans la catégorie "service"
Corrections de bug, Ajustements sur le Primaliste (je sais, je me repete ! ). PS. la table de loot dimensionnel du leurre secret de Stan est etendue et on ne peut plus avoir d'objet commun. * Fixed a bug in the minion system that would cause available adventures to refresh with each login. En même temps que le patch #9 pour nous : correction d'un bug sur les missions de sbires et empecher un reset des missions à chaque login. * Fixed an issue where Necrotic Wounds, Soul Sickness, and Flesh Rot displayed 40m range but was actually 30m. * Lady Envy will now only cast Enticement twice in an encounter. * Quest: The Spirit Walk: This quest can now be completed by Primalists. Quests: Spirit Animus: This quest can now be completed by Primalists. * Drowned Prophet’s Coif now has a credit price on the store. * The Keen Titanium Glaive is now Bind on Equip. *We've introduced a new rewards system for Patrons: Affinity! All Patrons will gain five Affinity Tokens for every day they log in to each region. * These tokens are also rewarded for every hour spent in game, awarded up to three times a day. * Affinity is an account shared currency, and can be accessed by all characters on the same region. * This currency can be spent on mounts or other items in the RIFT Store under the gold colored Affinity category! *Get free goodies just for leveling up! Open this special trove every 10 levels for potions, mounts and more. * Don't miss out: find your Ascended Trove in the RIFT store starting at level 10! * You’ve battled your way beyond space and time, through the synapse fortress and the place known as An End To Reason. It’s not over yet - the greatest challenges of The Mind of Madness have only now arrived! * The Goddess of Reason and judgement. All she can see is evil and disorder which must be eliminated, and in her warped state of mind, that includes you! * He is the delver of secrets, and while he may not be inherently destructive, his lack of regard for those he considers lesser beings often leads to their demise. * At the Monolith of Ruin, the Dark Genesis conspires against order, plotting to bring destruction to Telara. Destroy the Dark Genesis before all of Telara falls before him! * Lord Arak was able to harness the power of The Enigma, Lady Justice, Lady Envy and even the Dark Genesis to transform himself into a being without equal! * The Arisen Lord Arak’s mere presence shatters reality, and the quickest of Ascended may escape destruction by quickly aligning themselves to one or the other before Arak is able to incinerate them! * As the first step in our ongoing PvP efforts, we've updated some of the PvP game modes and rewards! - Now drop Dreambreaker gear as the default. - No longer drop weapons. *New PVP weapons have been added to the RIFT Store. To purchase these weapons, use Favor to buy Warmonger’s Marks. Warmonger’s Marks can be found in the Upgrade Parts tab of the RIFT Store. You can buy a limited number of Warmonger’s Marks each week. * The PVP weekly ‘Hired Guns’ quests have been shortened. PVP weekly quests now require 7 wins in various warfronts and no longer include Port Scion as a required warfront. * The kill count required to complete the weekly quest Conquest Carnage has been reduced to 1800, down from 2000. *Phase 1 of Conquest is now significantly shorter, requiring only 750 kills to advance to phase 2, down from 1200. Phase 2 has been lengthened to 10 minutes, up from 5 minutes. * Players will be prevented from joining a conquest match if there are less than 200 remaining kills. * New Instant Adventures are now available in Iron Pine Peaks – Restore the holiday cheer with Atrophinious and Greatfather Frost! * There are brand new Holiday Minion missions abound – just pick up the new Minion Card: Grish from the Store! * Did you miss out last year? Minion Card: Rudy is available again, and last year’s minion missions can be completed too! * The Sparkle Quest has made a joyous comeback for level 65 players! Seek out Stuttik Fyrirthig in Draumheim and grab the quest Faelight Sparkle Returns to start your adventure. * The Sparkle Quest can earn a piece of the most powerful gear in Telara (from the brand new Mind of Madness Raid) by collecting enough Faelight Sparkles. * You can earn them completing Expert Dungeons, winning Random Warfronts, looting the chest in Conquest, participating in experience giving Zone Events, or an assortment of daily and weekly quests. * Once you earn enough currency from these activities, you’ll be able to purchase either a Sparkling Shard of Wonder (a random piece of gear for Healers or DPS) or Reinforced Sparkling Shard of Wonder (a random piece of gear for Tanks). * A note to hoarders: last year’s Faelight Sparkles will dissolve and all NEW ones will be earned for this year’s quest. * Choose wisely, this quest is only available once this Fae Yule! * Whether you’re sledding down the slopes (and killing a few Snowmen on the way), dreaming up gifts in the Plane of Water, or battling Yulelogon and his invaders, all the traditional quests for Fae Yule have returned this year. * Earn currency, dimension items, companion pets, and more for completing these to afford all the Fae Yule presents your heart desires! * For the duration of Fae Yule the final boss in level 65 Expert Dungeons will drop a Dormant Fae Yule Gift! * These gifts contain a dormant piece of gear from Mount Sharax, Tyrant's Forge or Rhen of Fate. Upgrade them to full T1 power with Abyssal Crusader's Accelerators. * Gifts are unique and take 12 days to open naturally. Use Temporal Aligners from the RIFT Store or daily Patron login bonuses to speed up the process. * Of course it wouldn’t be Fae Yule without a bevy of achievements to attain or all sorts of fun rewards to earn. Between the Snow Ki Rin and Nightbringer Mounts, fun interactive items that will liven any party, and adorable companion pets to join you on your journeys, there's something for everyone in Fae Yule. * The star on top of this year’s Fae Yule tree is a set of Everfrost Gorget necklaces that start off as equivalent to gear from the first set of Nightmare Tide raids, but are quickly upgradable to those found in Tier 2. * These mighty necklaces are available throughout the event in exchange for 2,300 Unique Snowflakes and 30 Dark Icicles or 2,100 Credits. Make sure to get yours before they are gone! * There’s always a ton of great stuff on the RIFT store during Fae Yule, and this year has some amazing new items, including animated backpacks, the majestic Midnight Mink mount, Faeblight Sparkle weapon skins, and a couple of cute portrait badges to complete your holiday look! * Fixed an issue where clicking abilities with ground targets while moving the mouse would cause abilities to not be cast. * Dying during click to move will no longer cause you to continue to move to the same location once alive. * Fix a crash that could happen when the computer is locked while loading the game. * Damage will no longer tick while dead. * The "Enable Detail Objects" advanced video setting will now adjust your visual quality immediately when applied, instead of waiting for a load screen. * Animated objects now respect level of detail settings so that they decrease in quality as you get further away from them. * Users no longer need to relog from Glyph after purchasing Primalist for it to be available. * A user with the maximum number of character slots cannot purchase the Character Slot Extension item from the Store. * Key to Dimension: Tulan is now available on the Rift Store under Dimensions -> Keys! * Added addon support for using mounts. This now allows for the requested feature of random mount selection! * The Dimension help tips have been updated! * Fixed the wardrobe preview to properly show dyes when adding/removing appearances. * Added a shortcut button to the Crafting Window to help buy reagents quicker. * Added two color settings for tooltip descriptions of collected and uncollected items. * Titles now have consistent capitalization in the selection menu. * Item tooltips will now contain crafting profession information when you mouse over an item that is used as a crafting material. The tooltip will now tell you all professions that use that item in recipes and what the minimum crafting level needed. * Fixed a bug preventing the Tier 3 Guard tooltip from appearing in the client. * Fixed an issue with text alignment on the welcome dialog. * You can now apply temporary vfx runes to your wardrobe weapon slots! - Right click on the rune then apply it to a wardrobe weapon slot. - Clearing the wardrobe weapon slot will also clear the rune. - Applying any runes to your wardrobe weapons will not apply any stat changes from the rune. - This is only for wardrobe weapon appearance. You can still get the stat effects by applying the rune to your regular equipped weapon. * Dodge Rating now increases your Maximum Absorb amount by 5 points per point of Dodge Rating on your character. * Effects which deal damage based on the amount of damage a triggering attack dealt now calculate their damage off of Absorbed damage as well as standard damage. - For example: If a Tempest Warrior activates Arc and then attacks a target who has an Absorb effect, Arc will deal damage based on the total damage dealt to the target's shield+hitpoints. - Previously, it would only deal damage based on damage dealt to the target's hitpoints. * Almost every Mage ability has had a damage calculation formula adjust for its Base Damage. Please see this post for a comprehensive breakdown. * Almost every Cleric ability has had a damage calculation formula adjust for its Base Damage. Please see this post for a comprehensive breakdown. * Increased Diversify from 2.5% damage per stack up to 3% damage per stack. * Resplendent Embrace: Fixed a bug which caused this ability to calculate its max health boost without including health from stats on items. This ability's effectiveness now properly scales with equipment. * Pain Transmission has been redesigned. This ability is now a foe-targeted spell which deals damage to the target and up to 4 nearby enemies. Its damage has been substantially increased, but is now divided between the number of targets struck. * Fixed an issue preventing the Vampiric Essence Planar Attunement ability from triggering for Primalists. * Savage Blow now deals Ethereal damage over 12 seconds, rather than instant Physical Damage. * Savage Blow's damage is now increased by 20% for each of your DoT effects on the target, up to a maximum of 100% increase. * Savage Blow’s initial damage has been reduced by 50%. * Fixed a bug causing Spiritualism's buff tooltip to misreport its outgoing damage. * Fixed a bug causing Estuary to consume Hasty Blossom buffs. * Nightmare Saga: Return to Empyrean Core now counts towards the quest In Fellowship. * Quest: A Valuable Offering: This quest is now completable by Primalists. * Quest: Braving the Dream: This quest has been changed to require use of an item as opposed to temporary abilities. * Quest: Battle Preparations: The Dawnkeeker Construct will now perform as expected when summoned against the group of soldiers. * Merchants: Scheym Anhew, the Planar Merchant in Three Springs, no longer requires a minimum level for displaying his wares. * Quest: Runic Recall: Fixed an issue that would cause the Runemasters and Assasins that attack on the final step to spawn to soon. * Quest: The Churning Fates: Fixed an issue that would sometimes prevent the Shadebound Monstrosity from appearing. * Fixed the placement of some unreachable artifacts. * Quest: General: Fixed an issue that would sometimes cause Daily questgivers in Shal Korva, Woe, Khort, and Jad to not respawn after being killed. * Quest: Stone Cold Survivors: Fixed an issue that could sometimes cause the survivors to not leave the cave. * Quest: Spirit Animus: This quest can now be completed by Primalists. * Dalendel the Reanimated: This creature will no longer fly beneath the ground. Quest: Profane Expanse: The Rhenke Raiders will no longer attack Ikbarru if he gets too close to them. * When a player enters the Random Chronicle queue, the player can repeat a particular chronicle as many times as the player wants, as long as the player has sufficient charges to do random chronicles. * Proc Effects on Relic Ranged weapons from Rhen of Fate no longer enhance the damage or healing of other Nightmare Tide procs. * Token Boost effect buffs now correctly state that they boost the income of Fragments of Madness but not Fragments of Darkness. * Drowned Prophet's Coif now has a credit price on the store. * The drop rate and amount of Imperishable Motes have been greatly increased from Crafting Rifts. * Planetouched Wilds dimension items have been added to the Dimension Item Grab Bags and Uncle Stan's Super Secret Lure. * Fixed missing sounds for Preserver abilities Serenity, Essence Flow, and Bound. * Fixed a case where the Fae Yule sledding whoosh sound could get stuck on. - Une nouvelle AI speciale aux pics du pin de fer. - un cadeau bonus (vraiment unique cette fois) sur le dernier boss des instances 65 expertes donnant un loot "T1 dormant". Il faut attendre 12jours pour ouvrir le cadeau (sauf utilisation d'accelerateurs) puis utiliser des marques pour activer completement la piece en vrai T1. - La quête des etincelles revient mais est cette fois ci unique (au lieu d'hebdo l'année derniere). Le gain d'etincelles reste presque le même. On peut choisir si on veut une piece tank ou dps/heal lorsqu'on rend la quête. - un nouveau palier d'amelioration (equivalent T2) existe pour les pieces pvp ... sauf les armes (150precision) existantes ! - les coffres de pvp donnent maintenant directement le palier brise-rêve mais ne donnent plus d'armes ! - les nouvelles armes pvp (150precision) sont disponibles en boutique contre une nouvelle monnaie coutant 100k faveurs. - ces nouvelles armes peuvent être augmentée en 175 precision. - l'hebdo "tueur à gages" a changé : elle demandera toujours de gagner 7 bg choisis et Port Scion ne sera plus demandé. - la conquete change aussi : 750kills au lieu de 1200 pour demarrer le timer qui passe de 5 à 10mn. * pour les joueurs montant en niveau, un coffre de consommable/montures/... est offert à chaque dizaine de niveau (10, 20, ...). Il faut le recuperer en boutique. * Systeme d'affinité (pour les abonnés) : 5 points par connexion quotidienne +1/h en jeu (max +3 par jour) - je tenterai de mettre un post special pour en parler plus. * la clé de dimension Tulliane est disponible en boutique : 1200pp ou des credits. * ajout d'un petit "+" à coté des composants pnj dans l'interface de craft qui ouvre la boutique directement au bon endroit pour acheter les objets. Le tooltip est amélioré aussi indiquant pour chaque materiaux de craft les metiers et le niveau minimum des recettes qui utilisent cet objet. * Amelioration dans le systeme de tenue : on peut maintenant appliquer un effet visuel sur un slot d'arme de tenue. Les bonus en stat ne seront pas appliqués mais l'effet visuel reste même si on change l'arme. Pour effacer l'effet il suffit de vider le slot de tenue avant de remettre une arme. * Toutes les montures peuvent maintenant apprendre à nager. * des objets dimensionnels des etendues sont ajoutés à la table des coffres dimensionnels et du leurre de Stan. * Chronique aleatoire : un joueur peut maintenant refaire la même chronique autant de fois qu'il a de charge aleatoire, même s'il a deja fait la chronique en specifique. Et bien sur beaucoup de correction de bug. * Fixed an issue with affinity causing time logged in to not save properly after a crash. * Fixed an issue with affinity not calculating time logged in properly after logging out. - Shadow Flare now does more damage the closer you are in Light of Draum mode, less damage the closer you are in Shadow of the Nexus mode. - Shadow of Asuramyth no longer has a chance to create an unavoidable full death zone. - Addressed several issues where players could get stuck in a loop of falling. - No longer returns after a soft reset if he has been killed. - Addressed a bug with the fight not resetting correctly when the raid wiped. - Made the leash timeout for Vigils of Justice slightly more forgiving. - Reduced the radius of Sphere of Incarceration by 1.5 meters.